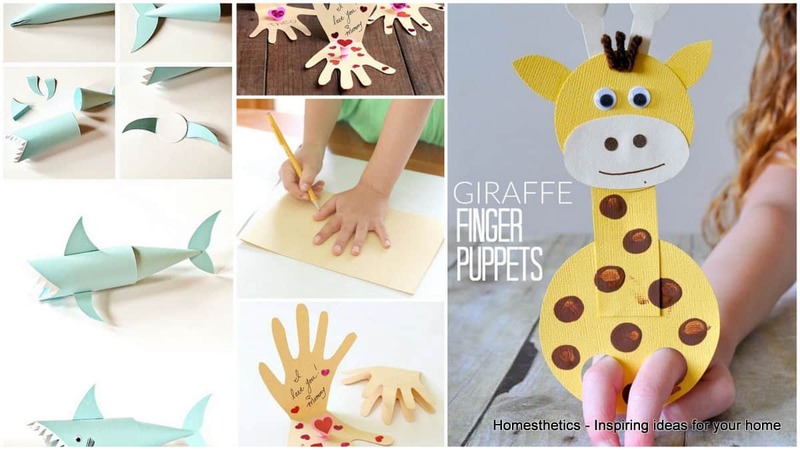 111 Cute And Easy Crafts For Kids That Parents Can Help With | Homesthetics - Inspiring ideas for your home. A young child ought to be lead, educated towards something, he ought to learn from a parent how to learn himself, how to tackle the life`s challenges successfully one at a time; the child ought to know how to draw a painting, how to read a technical paper, how to write a paper and how to care for a pet or a plant, the job of a parent includes all the professions created by mankind conjured into one; we ought to teach our children everything, everything at all. Every family experience can become an educative lesson, every endeavor can receive a running commentary that ought to explain the bigger picture, the interest and intriguing in that specific story; time spent with family is gold and you ought to celebrate every moment. Crafts and artistic endeavors can encourage the artistic and technical abilities of the child alike whilst building self-trust that could encourage them to take on practical projects that might come their way; to emphasize their greatness the world`s best collection of cute and easy crafts for kids has been collected; we invite you to cast a glance below. Troll dolls were extremely popular during the 90’s and thanks to various cartoons on the market they seem to have powerful comeback today; you could craft these within minutes using the tutorial above and whether you are using the for entertaining on an anniversary party or simply to play around with your little one the craft is definitely rewardful. Easter is still a few months away but already yet one could start the preparations early with these bunny plushies that can help you and your kid in the organization of the Easter egg hunt. The creation of such ingenious end results with limited resources can be extraordinarily creative, presenting them how “little” and “few” can become “beautiful” and “extraordinary”. To impart wisdom and creativity is without a doubt one of the most beautiful moments that a parent can enjoy with the little one. 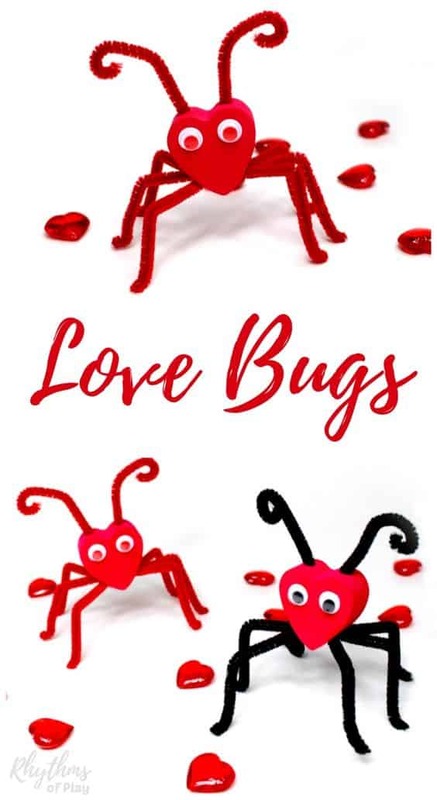 The problem with bugs and spiders is all around and in the attempt to resolve an issue or at least attempt to communicate on a delicate subject a parent could indirectly discuss it along a creative craft that a child could enjoy a great deal, forge these love bugs in your next craft session with the kids. Music is another area wherein kids often excel. 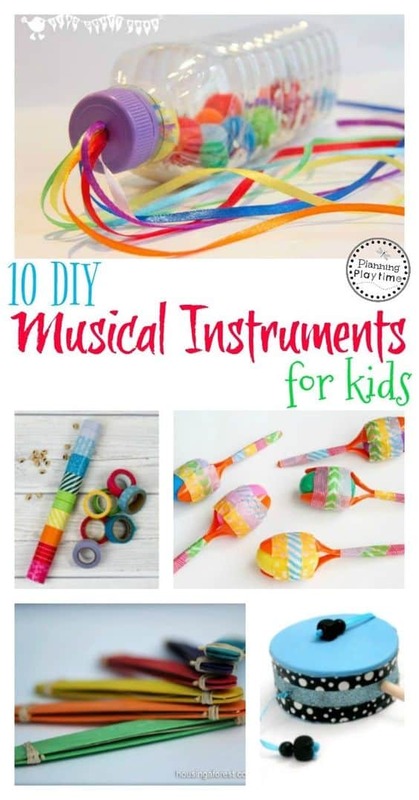 If you see that your kids are into music as well as other arts, these musical instruments that can be made from crafting materials one can see around can become great projects. Not only are they able to enhance their creativity, they can also enhance their skills in music as these are totally playable instruments. Creating animal figures can help young kids memorize different types of animals. Along the way, you can also teach them how important creatures are; even snails. Snails are often seen as “gross” or insignificant by a lot of kids. But with the help of this project, it will be easier to embed in their minds that all lives, no matter how small, are still important and have a purpose in this world. This is an art project that should be done with older kids since this require needles or sharp things. However, you can start teaching your young kids on how to sew their own items. Starting with this snowflake made out of yarn. However, make sure that you also teach them safety like making sure the needles are stored properly after use. 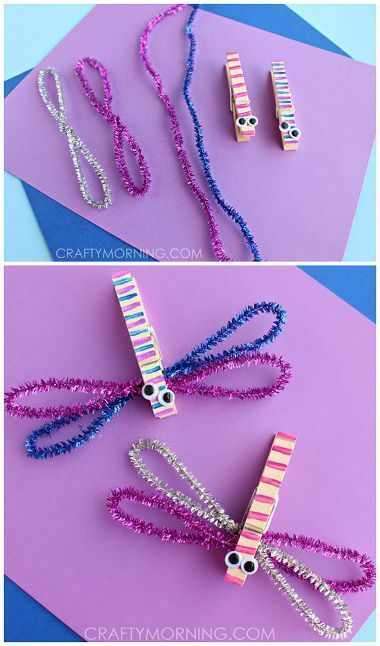 This is a cool DIY project for kids who love to create accessories. Start teaching them at a young age that looking good does not have to involve lots of money. Being their own creative self will help them feel confident as they are able to create things from scratch. This project is fairly easy as well and will require minimal involvement. 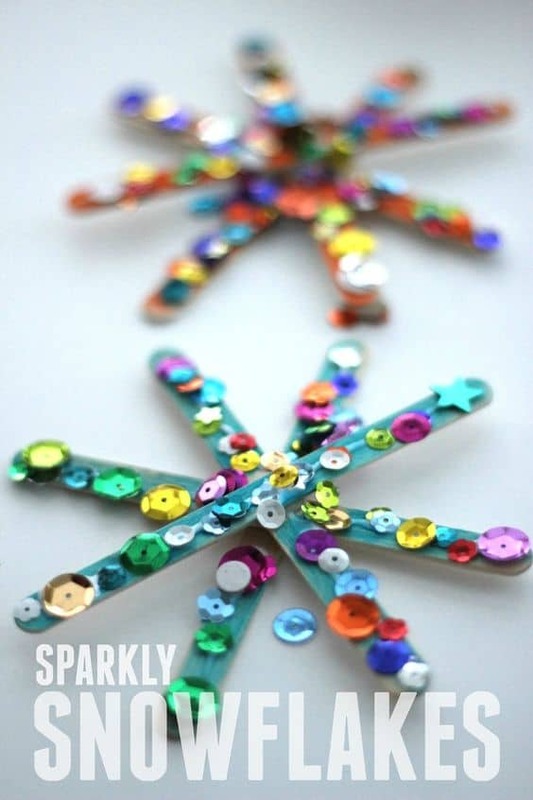 Young girls often like sparkly things, and so these sparkly snowflakes can entertain them for a while. This project enables them to do things on their own. They can create patterns they want or they can fall into the rhythm of placing sequins on the craft sticks. Doing this can actually help in concentration, creativity and even calm them down. Again, just supervise them, especially since sequins are small. 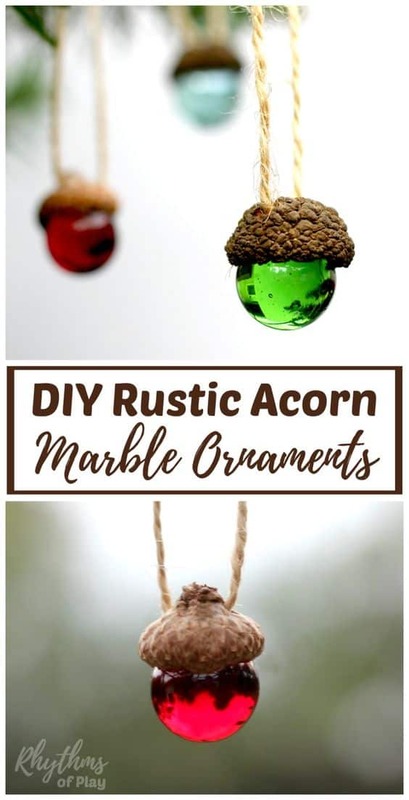 Doing this with them is fun and even with these simple crafts, they can enhance their craftsmanship and let their creativity grow. 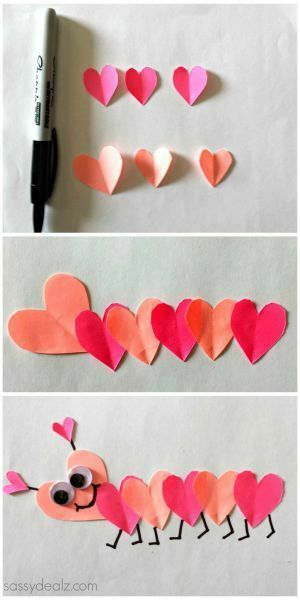 Hearts are among the easiest cuts you can do in a paper which makes it easy for them as well. After doing this paper mobile, they can use it on their rooms as decor and this can help teach them that creativity can bring beauty to life. This homemade castanets are another musical instrument that can be made with materials that can be found at home. While making these, you can teach your kids more about music. The best way to learn is while having fun as they say. So take the opportunity and help your kids learn and grow into such a beautiful art. 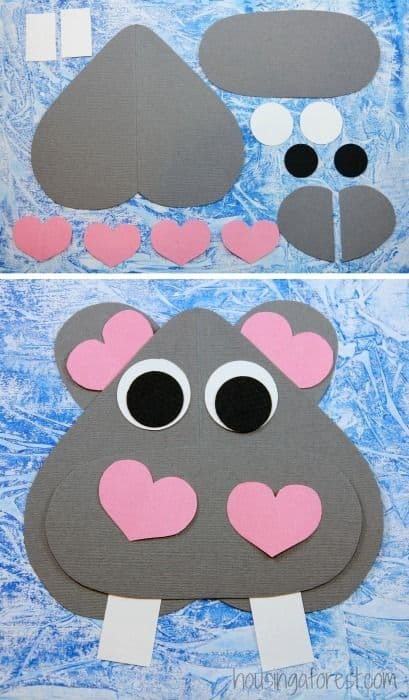 As said, kids can easily cut out hearts from craft paper once you have taught them so you can just let them do the job. This will also help them learn how to handle things properly, especially stuff like scissors. Apart from that, they could start comprehending instructions which will be really helpful when they grow up. Nonetheless, do get them the kind of scissors that can cut paper but won’t be too sharp to hurt themselves easily. 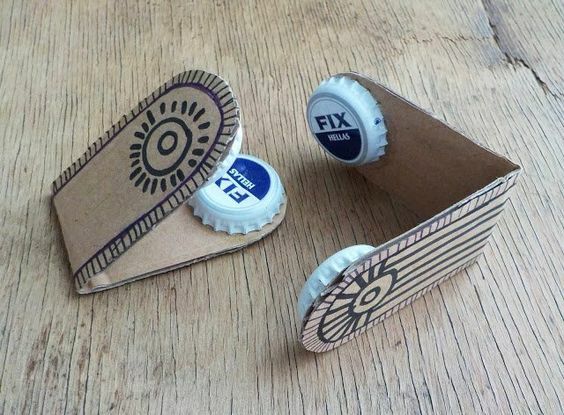 This project also teaches kids another lesson: that recycling is possible. 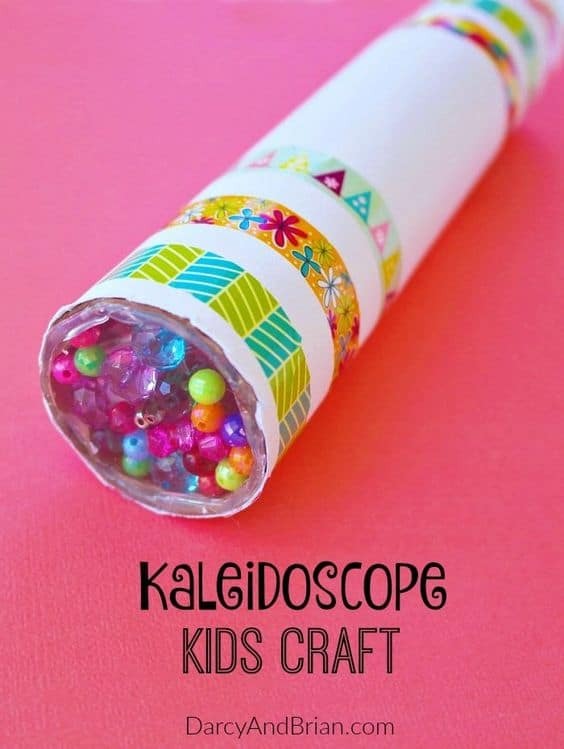 A lot of people throw away tissue roll tubes, but you can create a great DIY project with your kids with these. Let them choose the colors and the design of the wings as that could also enhance their creativity. This kind of project also allows them to have something to do other than stay in front of gadgets. This little fella is more than just an art project. This can help your kids learn that giving and sharing are important even to animals and insects. 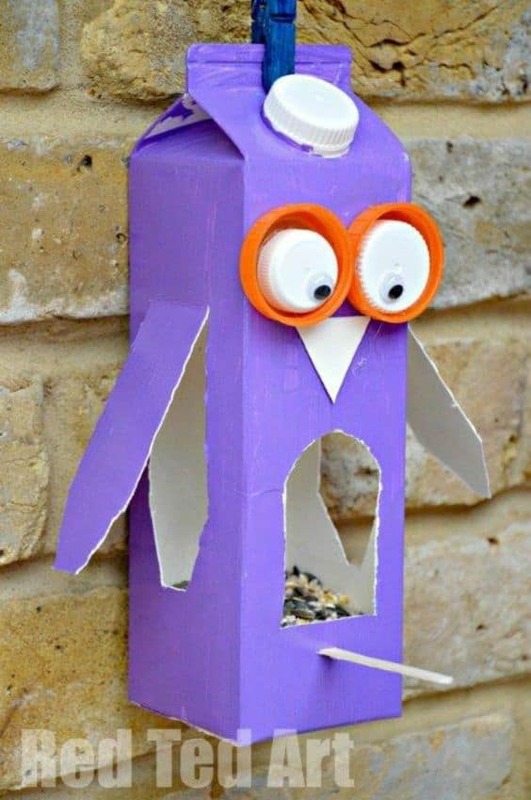 You can turn a milk or juice carton into this cute bird feeder for his fellow birds easily with tutorials above. Let your kids design the bird and you can do the cut outs. 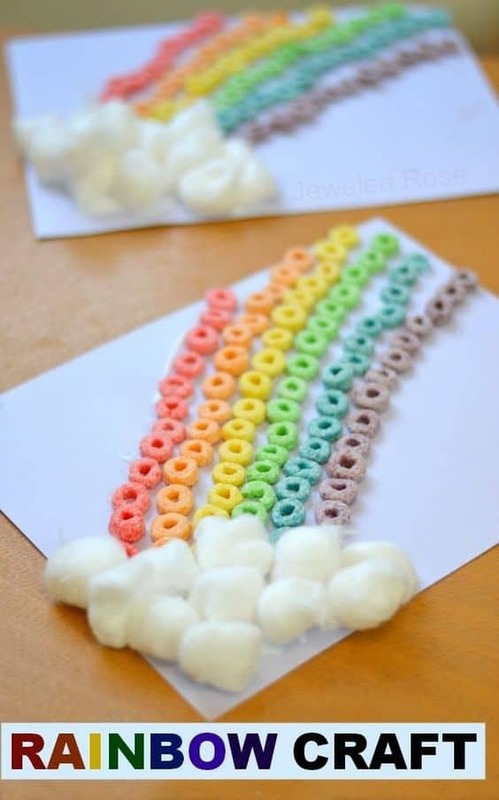 This amazing rainbow craft is easy and will require minimum craft materials. First off, cut out a pot from a black craft paper, you can either draw the pot and let your kids cut it out. Then cut equal strips of paper from different colored paper – make sure the colors are that of a rainbow. This teaches an easy lesson for kids: colors! This fun art will definitely make your kids learn how to become more creative and even make them feel that being a child means you can believe in superheroes anytime you want. 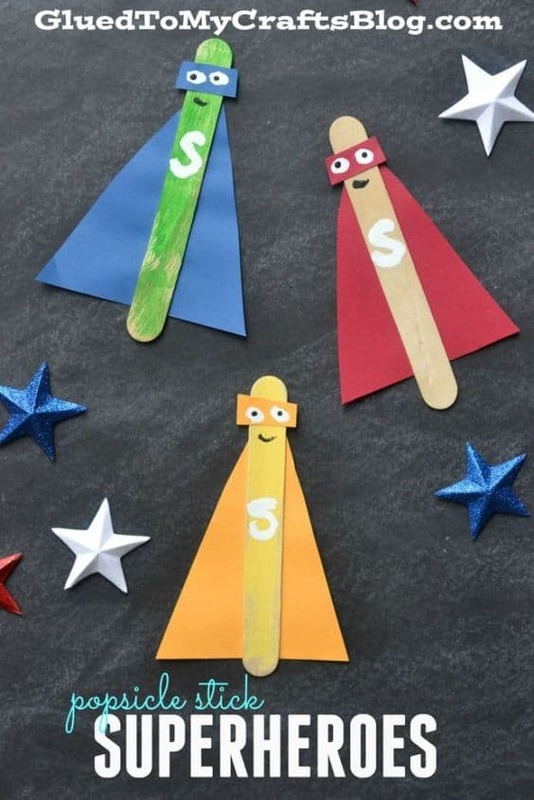 But of course, do teach them that being a real hero will come in helping others; just like how you’re helping them with the little things like creating Popsicle stick superheroes. 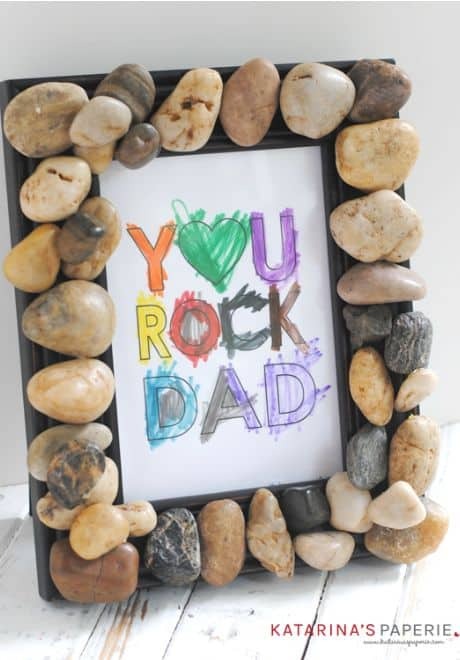 This art craft has more of a personal touch and you can let your kids enjoy this one on their own. Of course if they are younger, you can help them with cutting out the tape and spelling their name. This will help them feel that they are free to create what they want and would enhance their imagination and their creativity. 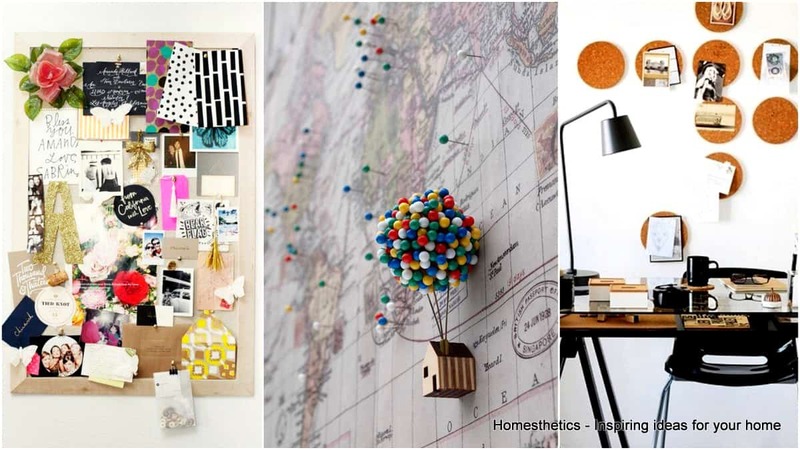 Paper art is one of the easiest things to do as you can easily find the materials around your home. 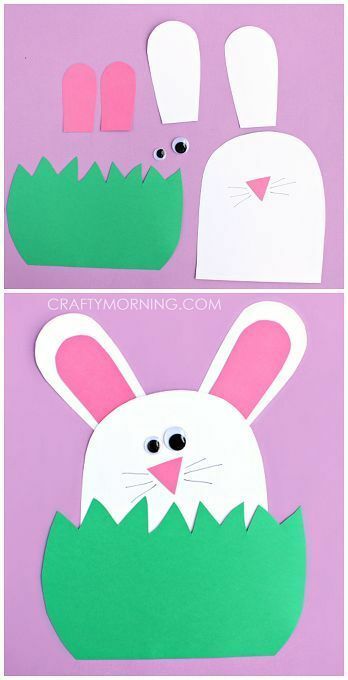 This paper bunny art craft will be your chance to introduce various animals to them. Starting with a cute bunny and then slowly teach them how bunnies live, what they eat and why it’s important that we, as humans, take care of them and their habitat. 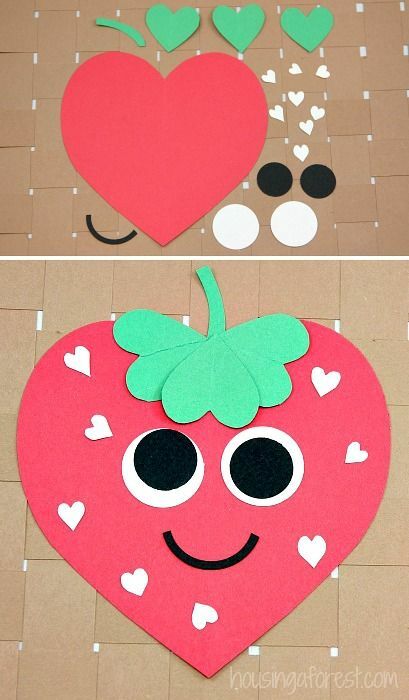 Valentine’s Day cards are usual projects for kids at school when February comes. You can help them out with that by teaching them this simple and yet cute design: a fingerprint heart tree. Draw the trunk and the stems and then ever so lightly draw a heart shape. Apart from that, teach them that they should learn how to love their family and friends even if it’s not Valentine’s. Each week, you can create various animals with materials you can find at home. Then while doing the art craft, you can explain what the animal is and basic stuff about them. Make this a weekly habit as you can definitely see improvements with your child’s memorization and knowledge. This time, you can choose turtles, one of the nearly endangered animals in the planet, to help them know turtles are still vital. Another musical instrument that your child can make is the harmonica. The Harmonica is an air instrument, but smaller than flutes and saxophones. You can recreate this with just craft sticks, rubber bands and small pieces of straw. Then teach them how to play it and who knows, they could become expert harmonica players in the future. Is you kid having their birthday party? Then decorate the place with things that they love. 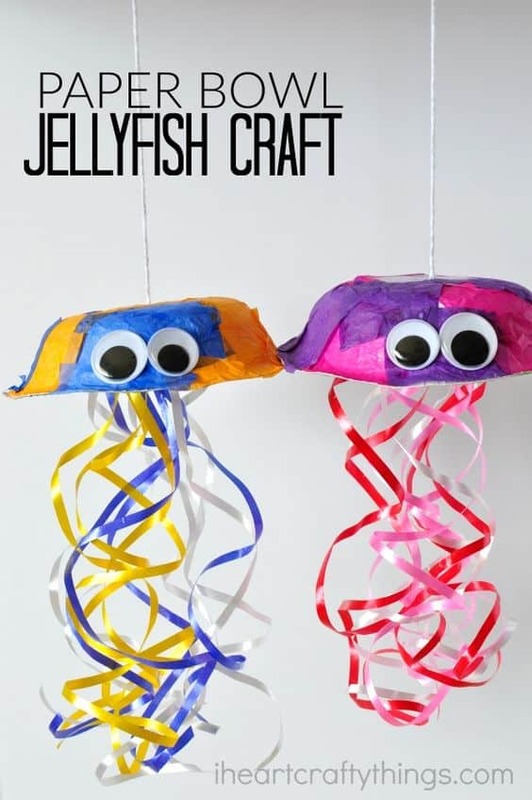 But when they are into sea animals or animals in particular, this great jellyfish paper art craft can do wonders. These are not just wonderful art projects but also a good way to make your kids learn more about jellyfish and other sea creatures. 22. sail away with an egg carton! Egg cartons usually just end up on the trash bin once there are no eggs anymore. But of course, recycling is much better than throwing them away. In case you are having problems with where to put some of your kid’s toys, you can create an egg carton boat with their help and then place some of their toys in there. With that, it teaches them that toys should not be left scattered around the house and that there are designated places for them. Monsters are often deemed as scary, especially for children. 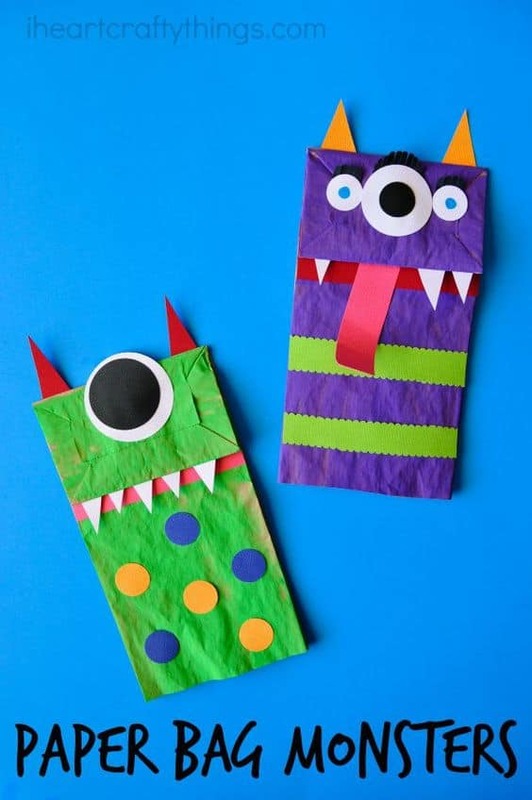 However, you can turn their fear of monsters under the bed around by helping them create these fuzzy little monsters. Apart from that, help them become braver and be more stronger emotionally and mentally. Clothespins aren’t just for laundry. 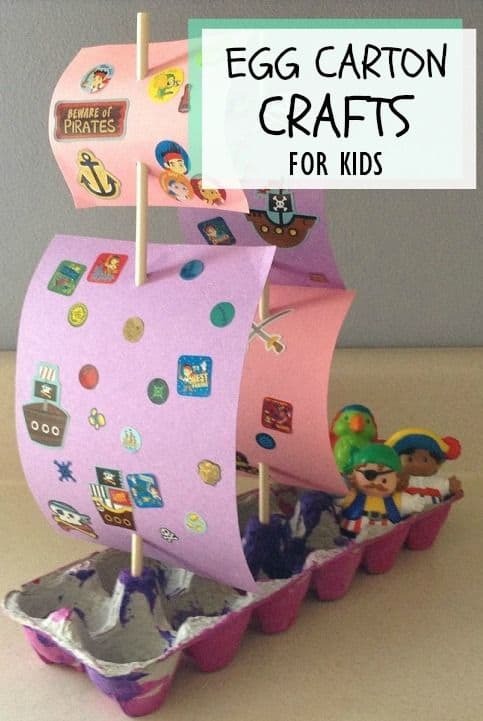 You can also teach your kids creativity by creating these crafts which include them. These are easy and would only take some glue and fuzzy wires and probably a bit of paint. It’s also time to introduce more animals and insects into these art crafts and this time, it could be about dragonflies and how they are important to the ecosystem. 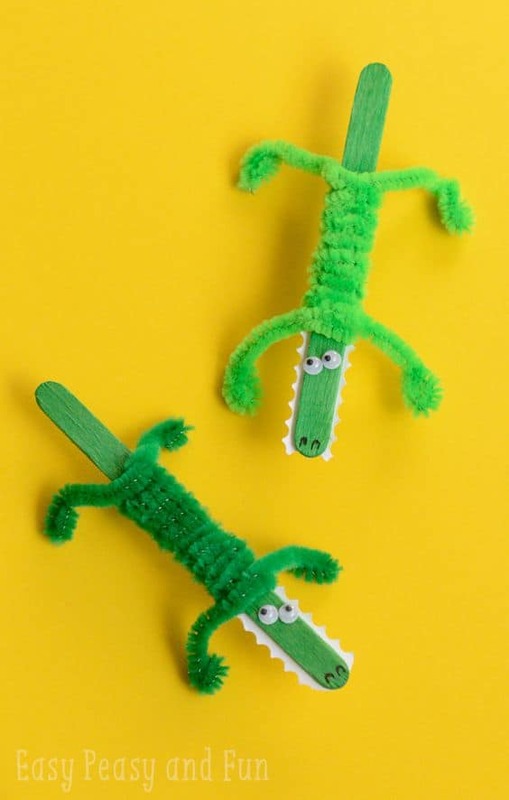 If your kids loved the dragonflies made from clothespins, then you can create these animal crafts as well. More than just a toy, you can also use these to tell stories to your kids. It will be a fun and unique way to tuck them to bed at night. Seeing as bedtime story helps their imagination, added props will enhance it more. For your weekend animal crafts, you can choose to go with penguins. This is simple, with cutouts that you can glue together. Have your kids try to figure where the parts fit and try and make it look like a puzzle. Then if they get it right, you can reward them with a simple treat. It makes learning more fun for them. 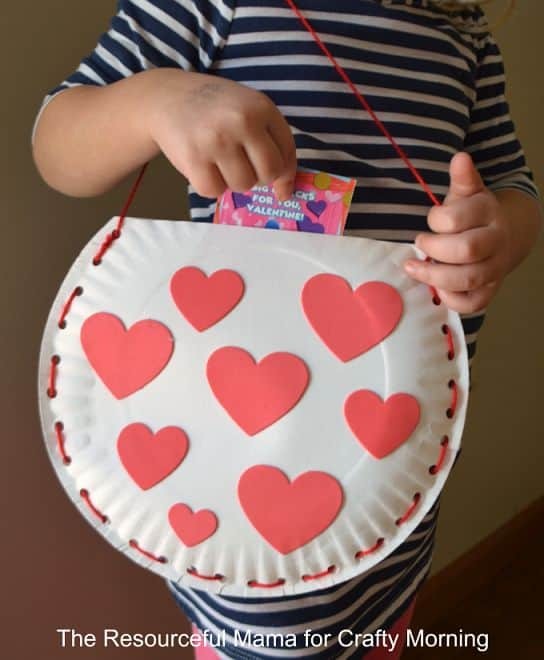 27. amazing paper plate craft – sewing hearts! This can be a little complicated for younger kids, but your 7 and 8-year-olds can definitely start getting this right. 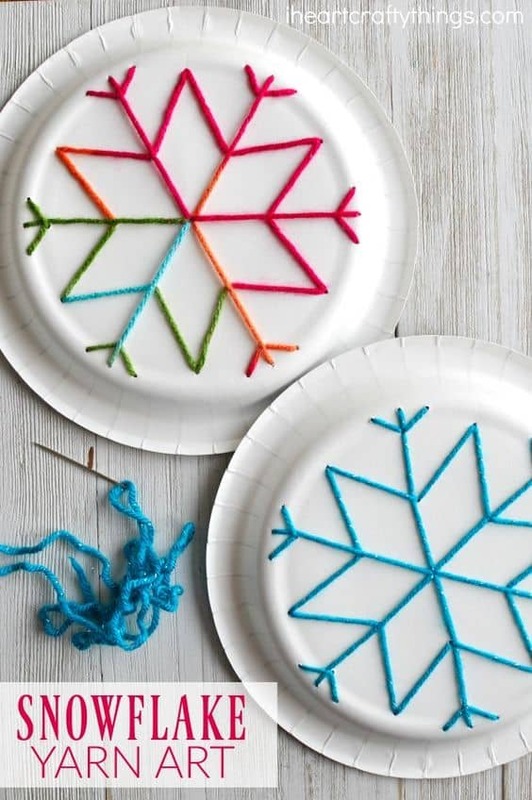 This can be a little stepping up from the snowflake yarn art mentioned earlier. However, this project can teach them how to be more patient, as surely this will take time to make. Creating toys from old things and materials not only strengthens the child’s creativity. 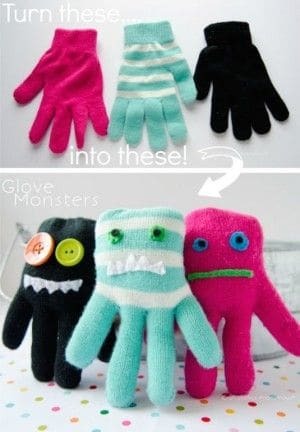 Creating these glove monsters also help young kids realize that even recycled toys can bring them happiness. Since a lot of kids now rely on expensive gadgets, something like this could help them feel humble. Snakes are among the animals that are feared. But these, as well as other animals, are part of the world’s ecosystem and are rather useful. Instead of fearing them, you can teach your kids to look beyond how they look and more into how they help. 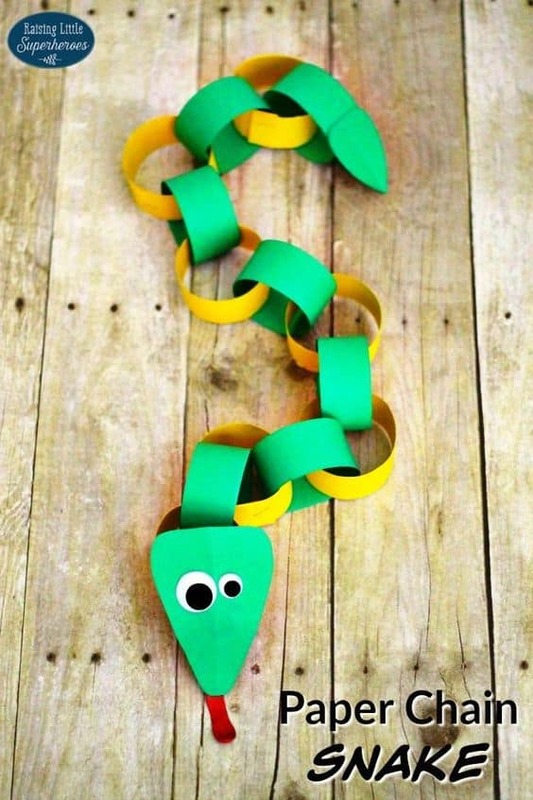 To further help, this adorable paper chain snake art craft can aid them ease down a bit. Want your kids to learn the easy way? Let them have fun. 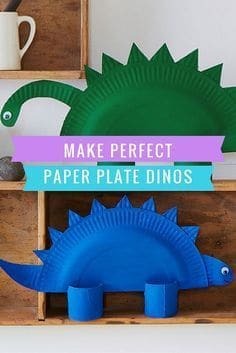 For example, creating these dinosaurs from paper plates will entertain them and while you’re doing this craft, you can introduce them to different dinos you are making. Sure enough, they can start learning and even develop interest in books about the subject. Bees are one of the most important insects in the world. Without them, we may not be able to harvest food. They also keep the ecosystem balanced. 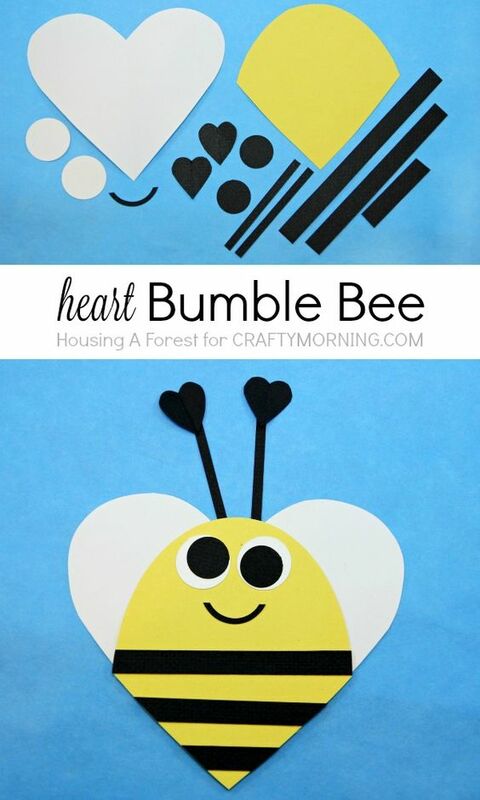 With that being said, this paper craft would be a great opportunity to let your kids know more about bees and why they are essential. Also, it helps them spread love for these creatures! 32. what does the fox say? Hearts! Foxes are still quite mystical. But when your kid starts asking question about them, you can help them learn more while creating this adorable masterpiece. Creating this is also easy so you won’t have to worry as much even if you’re not as artsy as others. 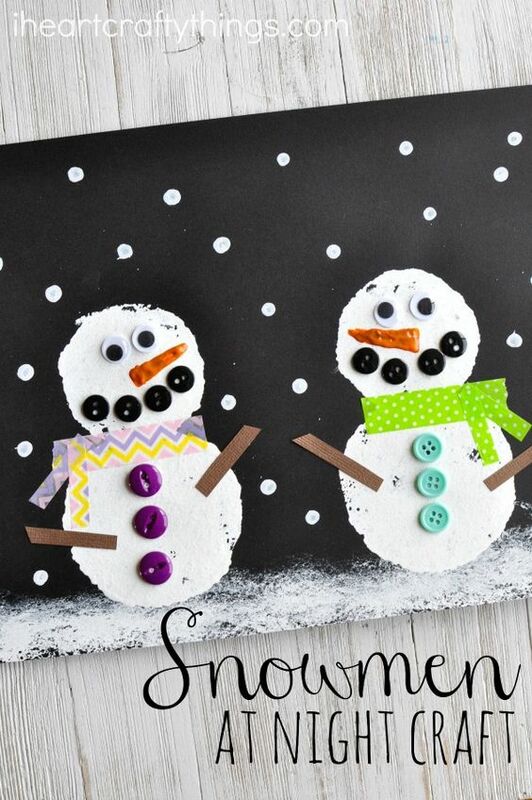 33. snowmen at night…on paper! The holiday season might be over, but the snow and snowmen would always be among a child’s favorite things. So why not immortalize those through artwork? 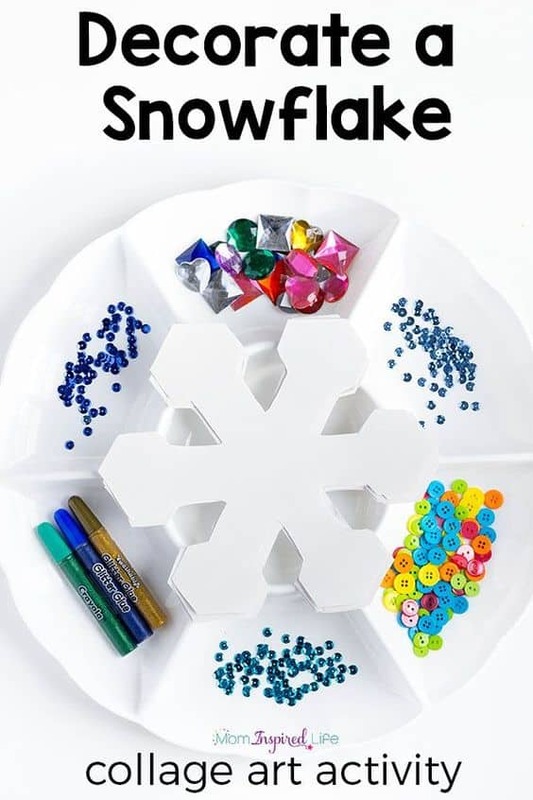 You can ask your child to join you and it would be fun creating this while talking about memories of winter. 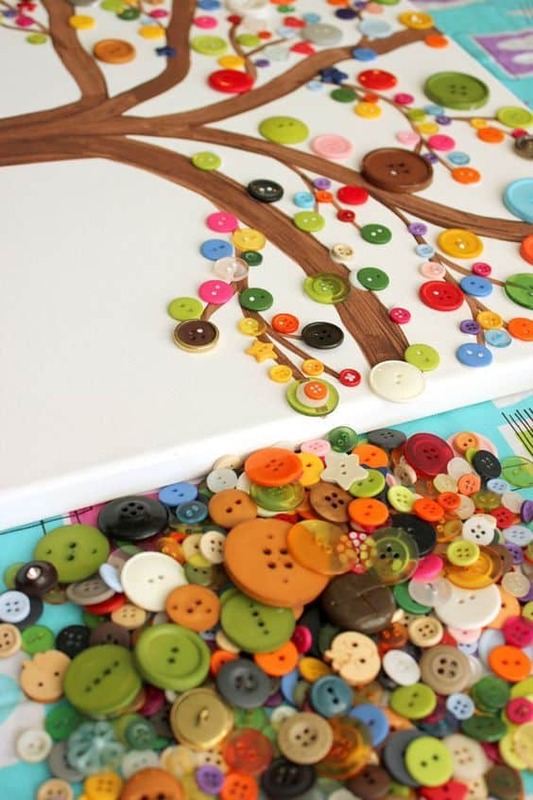 You can create button art crafts like this button tree. 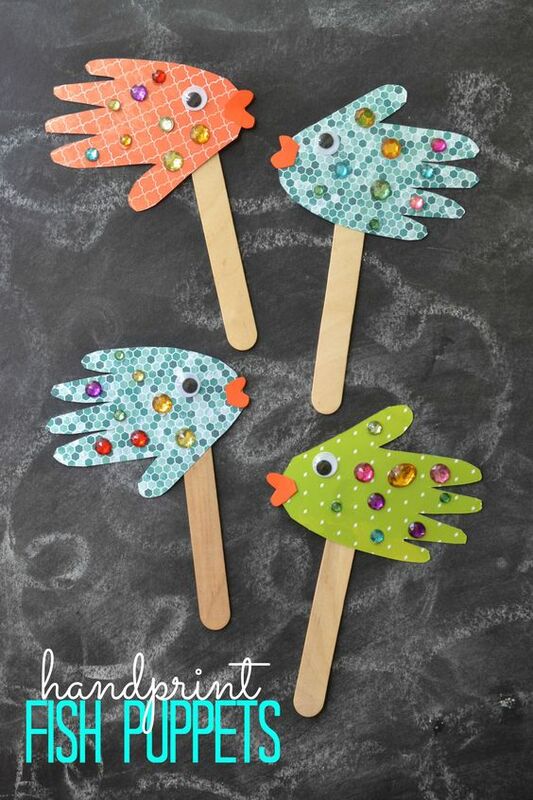 Let your kids’ creativity shine and enhance it with little projects like this. These kinds of projects can also spark an interest on creating new items from old ones and a love for the arts. A yummy art work would often lure your kids to the table and eat. You can start that by adding some art with their cereals first and then slowly, create some fun lunch boxes for them. You can let them join you in creating these projects and teach them how important it is to eat and finish their food. Creating personalized gifts to important people is much better than buying expensive ones. This is what you can teach your kids. Soon, they will be thankful that they know that effort is a more appreciated gift than anything else, even if the gift is cheap. Sure enough, your children have seen Finding Dory. It’s one of the biggest animated films of 2016 and a long awaited sequel to another beloved animated film you definitely have seen. It’s got some good morals and definitely one that you can make your children watch all over again. You can also test your kid’s memory by letting them create this kind of project. You can surely see how well they remember things and help enhance it more. 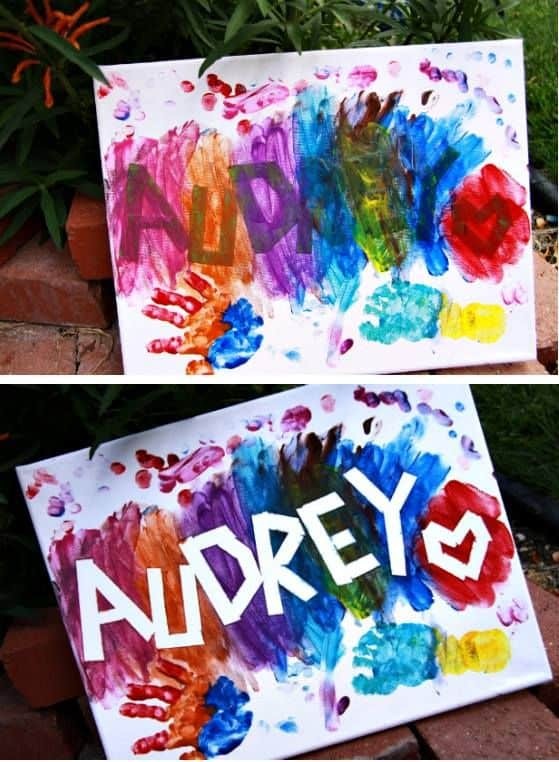 Here’s another artwork that you can do with your kids over the weekend. 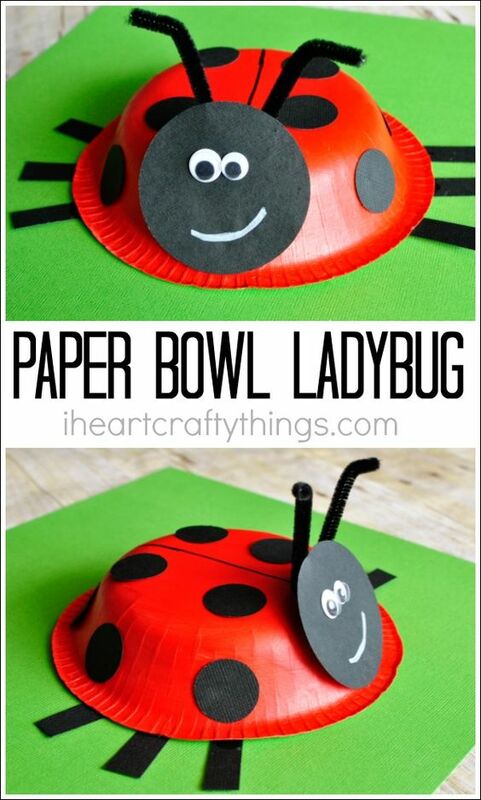 You will need simple materials like a paper bowl, colored paper, glue, googly eyes and white pen. Nowadays, it’s really nice to have kids that read actual books. Since the age of technology has arrived, a lot would rather read ebooks or Kindle. Some don’t even do that anymore. So, if you’re lucky, you can give them a little reward: a personal bookmark that they would definitely love. It’s also easy to do so they can join in creating one. Penguins are adorable, but there is more to them than merely their cute little faces. For example, they help one another especially when there are snowstorms. They warm each other with the help of their specially designed furs. They may not fly, but they are great swimmers. These are little things you can share to your kids while creating this adorable picture. The Teenage Mutant Ninja Turtles were very likely your childhood superheroes. And now with almost all Marvel and DC heroes coming along, introducing the ones who made you believe evil will not win against good guys can be a great idea. And definitely, a pizza after making these with your kids is the best way to end the day. Elephants are gentle giants and there is a reason why they are called like that. While making these fun and easy paper plate crafts, you can share to them how elephants live and some facts about them. Sure enough, your kids will learn something by the end of the day and with more elephant paper plates lined on the wall. Spinners were simple toys back then, but they were really fun. Since our kids are now into technological devices, it sure is great to bring back childhood hobbies we had back then. This can help them feel like real kids and not just trapped in social media at an early age. Simple things can still turn into great artworks. Even menacing animals can turn into adorable toys. It will only take creativity and imagination to make things work. So, this teaches creativity and how to make things from simple stuff. Plus, it also helps them face their fear of animals; like crocodiles! A lot of kids are demanding new toys every now and then. But why not try to recycle things at your home like these tissue roll tubes? You can turn them into cars and it would teach them that having fun will not require expensive toys. You can even make these with them. It’s always fun to create something as a gift to someone. 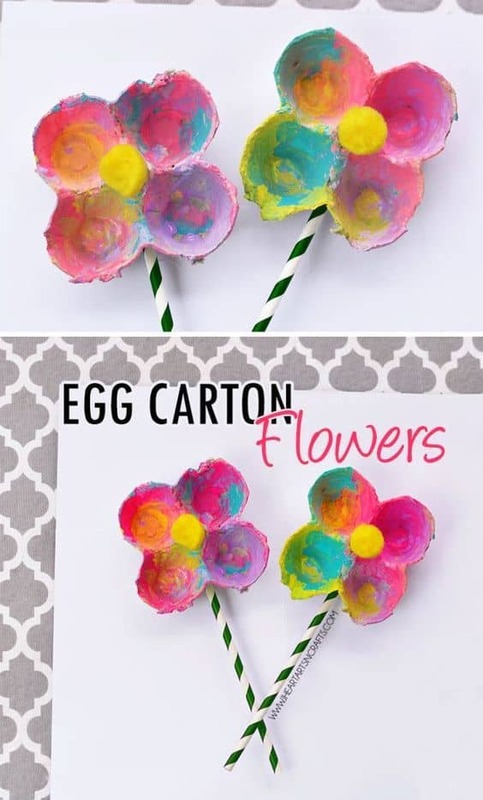 else.You can teach your kids how to create this egg carton flower and then they can give it to their mom, their grandparents or their siblings. It’s always good to teach them that sometimes, the most priceless gifts of all are the ones made with effort. Here’s another weekend art project you can do with your kids. It won’t take a lot of things and you can even find some of them at your home. Sharks, although rather scary, can also be interesting animals. Doing this craft may help them overcome their fears of these animals. This art craft is rather easy. You will likely need pieces of paper in black, white, red and green. With your red paper, make a big heart cut out. 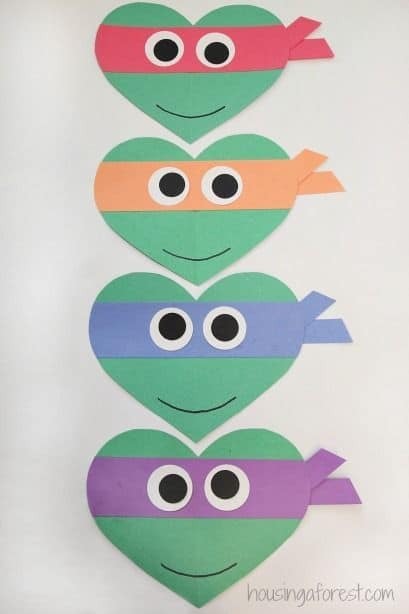 Then cut some more hearts that are smaller with your green paper. This will be the leaves, then just cut a small strip for the stem. Cut some more smaller hearts from the white paper as well as two white dots. For the black ones, two slightly smaller dots and a smile would do. Then with this as reference, you can now create a strawberry! Valentine’s Day will be arriving soon. 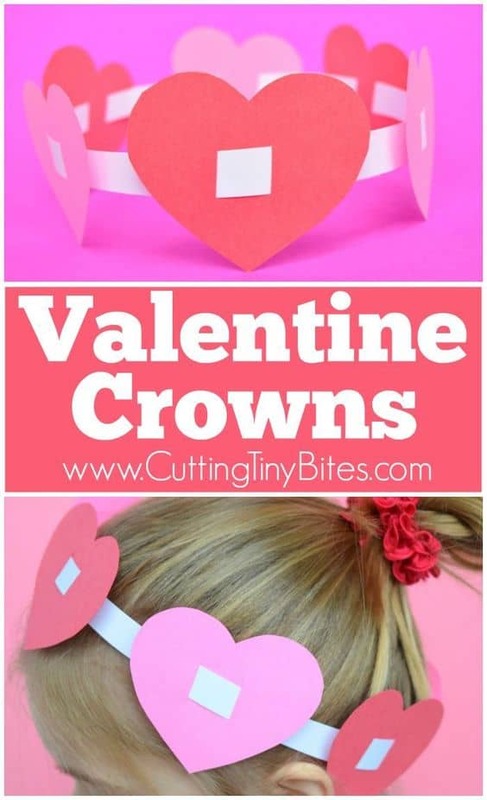 Here’s a cute craft that you can do with your kid: a heart crown. Although making this is easy, what’s really more important is that they will feel your love and your support. It’s also a way to help them speak openly to you, especially as they grow up. This is a unique art work, standing apart from the previously mentioned ones. Instead of using brushes to paint, you will be using a fork. Now you can choose to create one with paint or with chocolate, but the idea is to dab the fork on the paper following a circle. Let it dry then add the eyes and nose as well as the ears from paper and then draw a smiling face. The last touch is the ribbon. Kids are easily scared, however, exposing them slowly to what frightens them can help them conquer that fear. 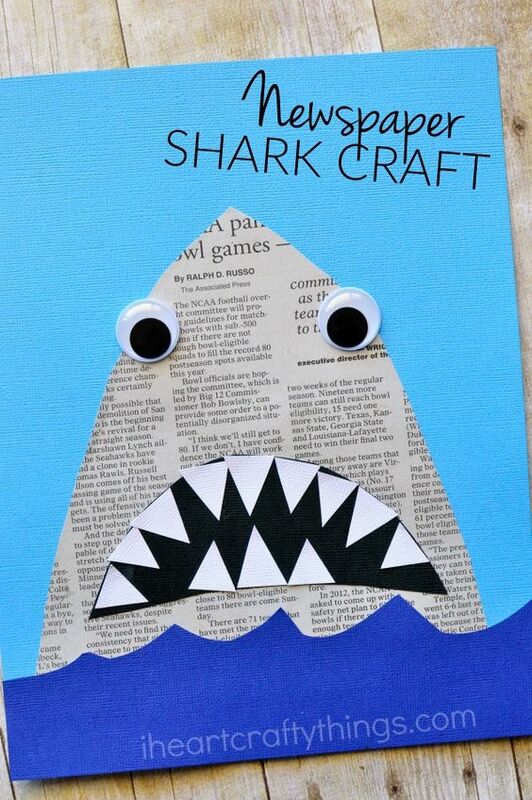 So, sharks have been done with the newspaper, creating a 3D one from tissue roll could be scarier than the newspaper art but again, you can help them slowly conquer their fear. The hippo could be a little more difficult to accomplish. However, it’s a good way to keep the weekends busy with your kids. Since these animals are not often featured on TV and can’t be found except perhaps in the zoo, you can also teach them a thing or two about the hippopotamus. Want your kids to stay entertained for hours on end? This cardboard marble run is the best choice. You can create a maze of sorts with craft sticks glued to the cardboard then some plastic cups on the end to catch the marbles. After creating this with them, you can also play a game with them. The one who guesses which cup catches the marbles wins. Since kids are more techy and more into social media nowadays, you can create these emoji masks for them. This would be great for parties, like the ones they use for photo booths. Another family art that is easy and will keep your kids entertained while enhancing their creativity. You can provide as many materials as you like and then let your kids create their own artworks. Then again, always supervise them especially your young ones as they may put small objects into their mouths. 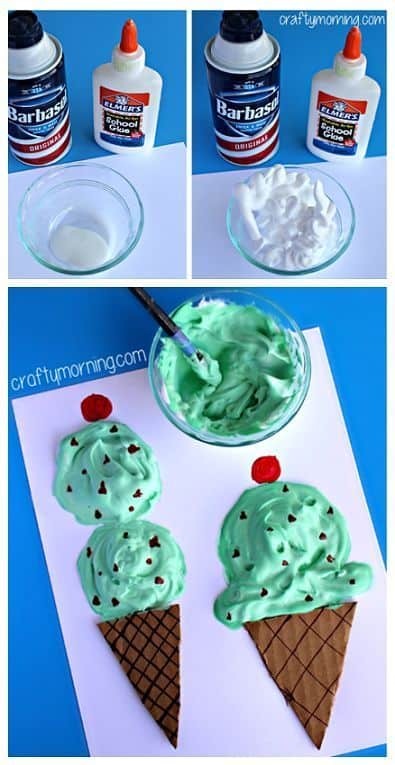 Who thought that shaving cream can help create yummy looking ice cream paintings? It’s a great summer art craft for the kids and sure enough, the puffy paint will be a different experience for them. It’s something that will make them learn. And of course, you can create various flavors of ice cream. At end the day, of course ice cream should be present. 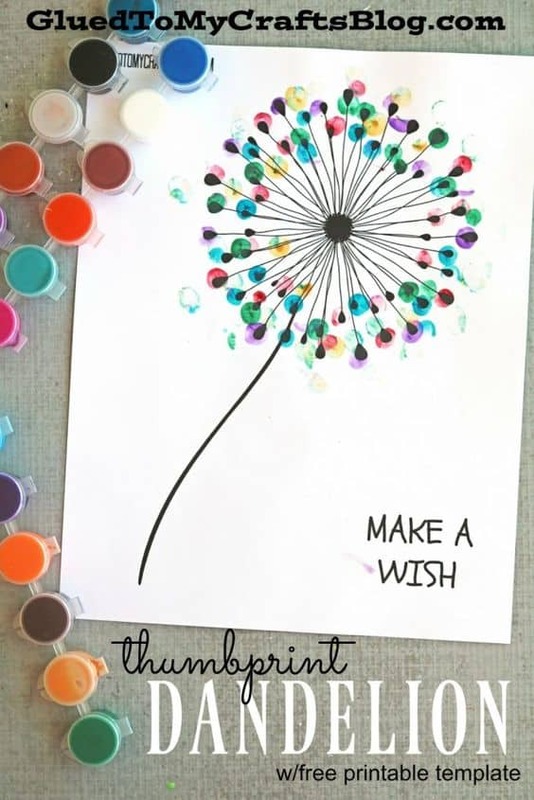 Instead of traditional painting, get help from your kids and use thumbprints to complete this dandelion art. The more colorful it is, the better. Also, you can start teaching them about different kinds of plants. 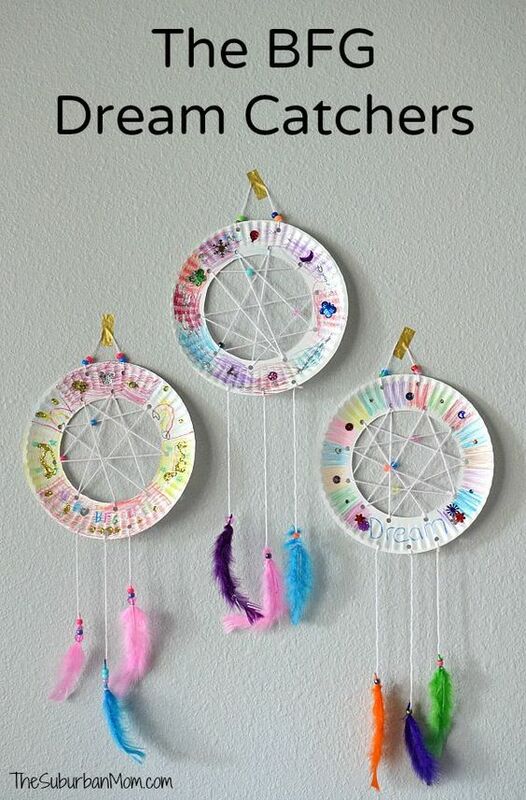 Dream catchers are said to help avoid nightmares, which would definitely convince your kids to make this craft . These are also inspired by the movie The BFG so if your kids have watched that,the better. If not, you can totally expect them to learn a good thing or two after seeing the film. Look at what can be easily and quickly done with just simple things from the house. This can actually show more creativity than drawing and painting so the next time you craft, you can work on easy but more creative ones to make sure your kids will grow with creativity in tow. A lot of young kids often like to play with grown up things. Like for example, your kid would always want to wear your shoulder bags and shoes. Now, you can create them a shoulder bag of their very own; with only some paper plates, yarn and hearts! Make sure you let them join in designing their own bags. Cards are always the same: folded paper with hearts all over them. But you can also teach your kids to be more creative. Instead of simply folding the paper, why not outline their hands and then cut the outline. It would be more personal, especially if they’re giving it to family members. Art should be fun. If your kid is not as artsy as the others, well, just make it as fun as possible. With the help of egg shells, you can now create more unique projects and even have all the fun you want. Simply fill up the eggs with paint after getting the content through a smaller crack at the top. Then take turns throwing the eggs on an empty canvas. Creativity and uniqueness are two things that you should always instill onto your kids apart from all the good things in the world. Creating unique projects like this rainbow weaving fish craft will definitely help them enhance both of those things. Instead of buying flowers that can wilt in a few days, find something much better that can stay longer. Through this art work and with that mind set, you can actually educate your children on being practical, and yet thoughtful. These paper flowers may not look like the real thing, the effort put into it could still make someone feel much better. 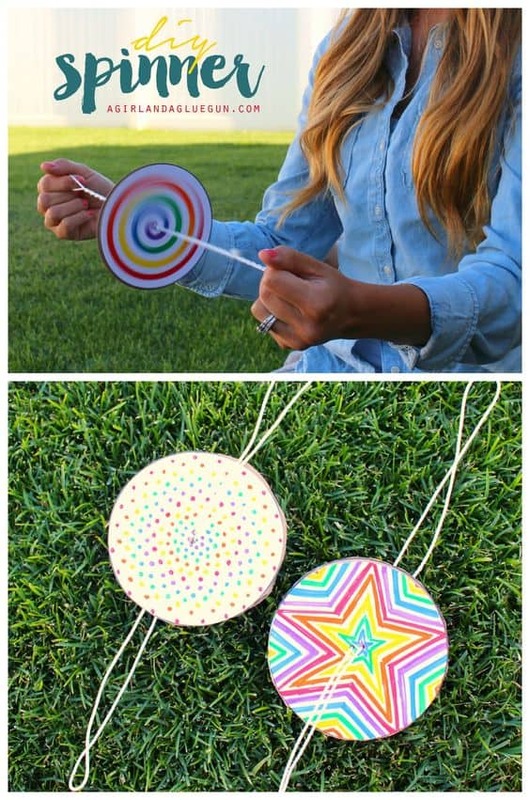 Want a simple craft that will be so much fun? This isn’t really an art project but it can create endless hours of fun for your kids. 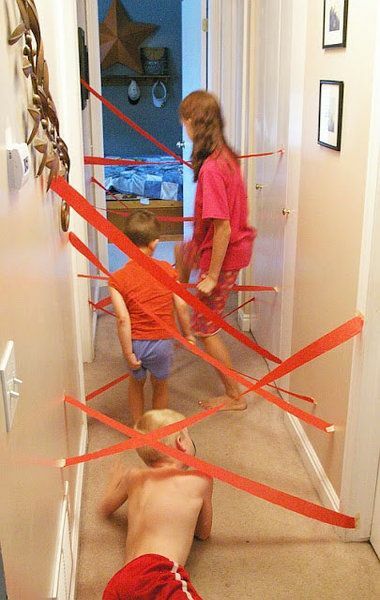 Simply cut strips of crepe paper and tape both the ends randomly on each side of the wall (the hallway is the best place). Then make it a game where nobody should touch the papers. It’s a puzzle that your kids has to do that will enhance not just their minds but also their bodies. 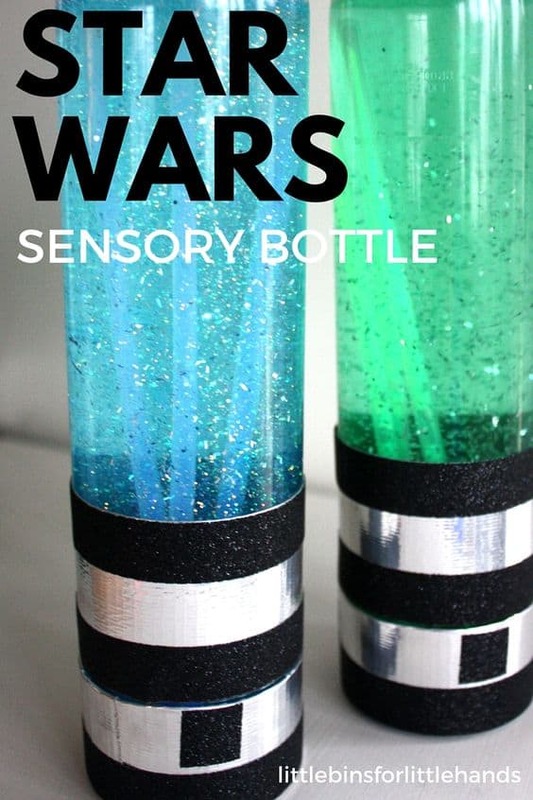 You can create a sensory bottle with your kids with the theme being the infamous franchise, Star Wars. 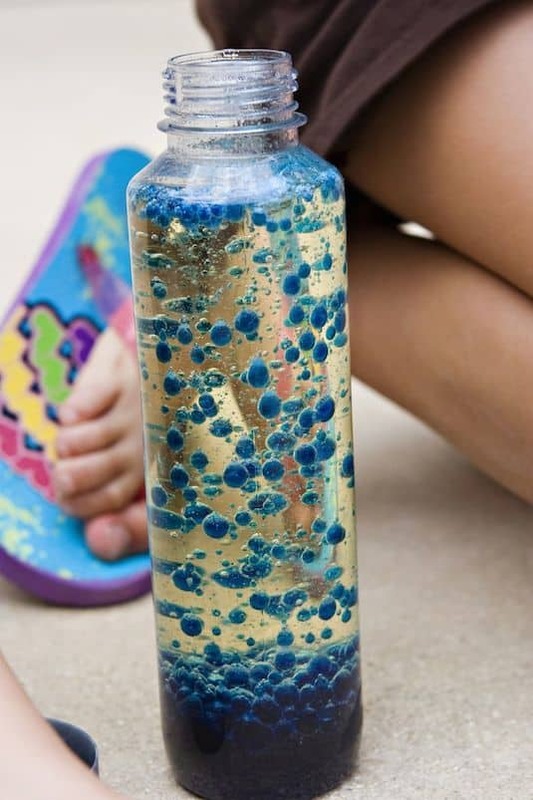 Sensory bottles are actually toys that can stimulate a child’s senses. With sensory bottles, it mostly works on their sight and cognitive abilities. 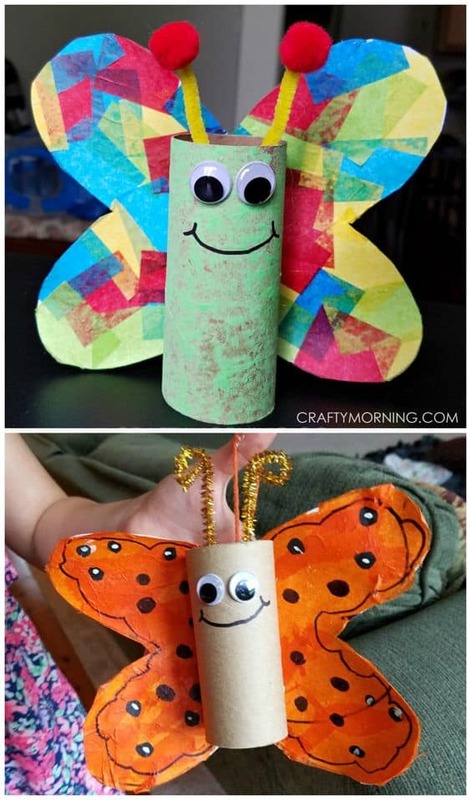 Another amazing toy you can make from tissue rolls. This time, it can be easily crafted into an adorable octopus. Of course, cut one side of the tube into eight equal parts. Don’t cut it too high or there will be no space for the face. 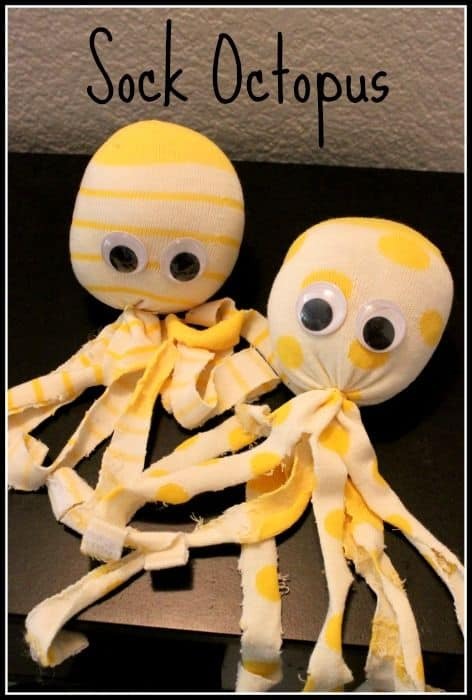 Then, you can have your kids paint them and then add the face with the googly eyes, and even decorate the tentacles. Creativity can be simply enhanced with scribbling and then letting them create their simple works of art. Who knows, your kid could become the next big abstract painter. 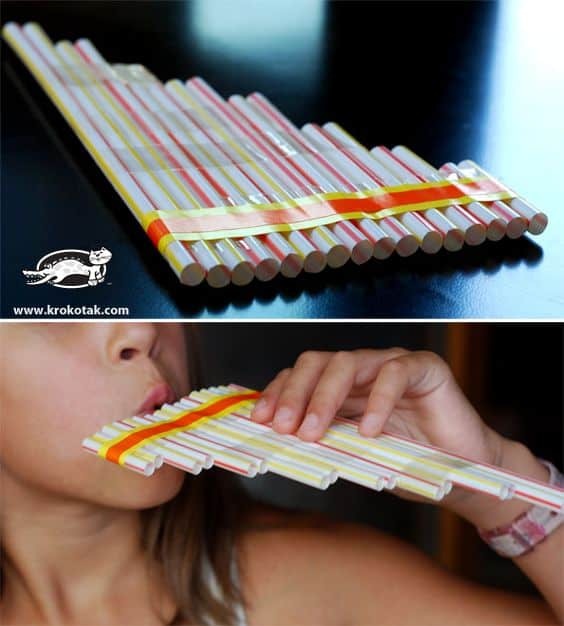 69. pan flute from straws?! The Pan flute is a type of wind instrument that produces music when you blow into it. But do you know that you can create your own version of this with just straws? It appears that cutting them into different lengths could actually produce different sounds. Try it out with your kids and see for yourself! Popsicle sticks are not just for making some yummy desserts. 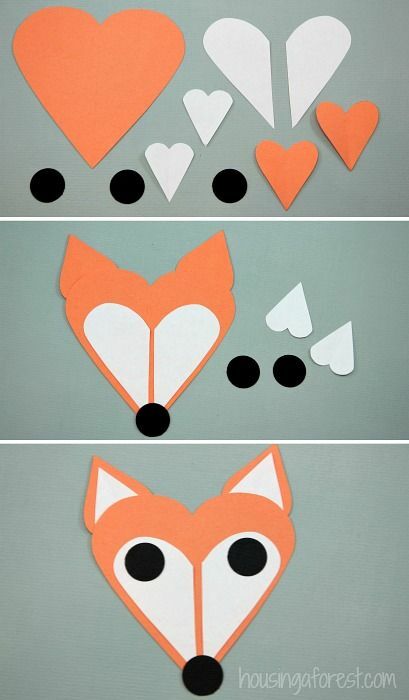 You can also create some adorable animals with this unique project. Simply glue these sticks side by side and let your child decide what animal you would be creating. Of course, each animal could be introduced by adding some facts about these animals and letting your kids soak that knowledge. I-spy is one of the games that families love to play. It gives them the chance to bond with kids and lets them know what their young ones are thinking. But now, you can play the game with them anywhere with this little homemade I-spy bottle. I-spy would be a good way to enhance their eyesight and their critical thinking. 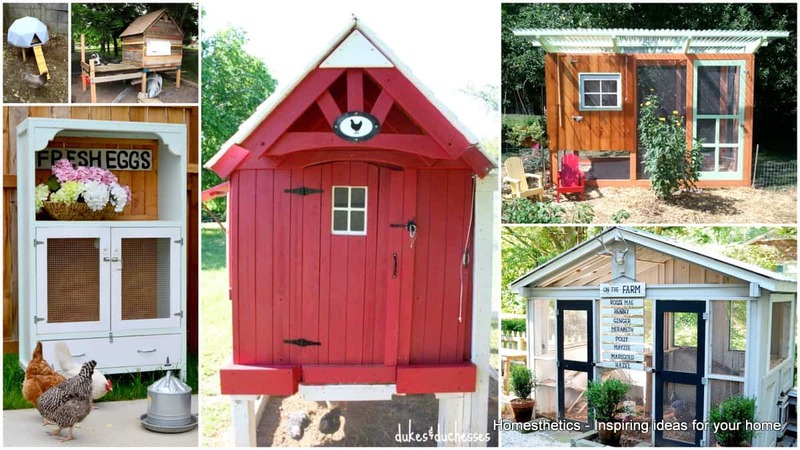 Looking for some cute garden displays? You don’t have to hire professionals or look at home depot. 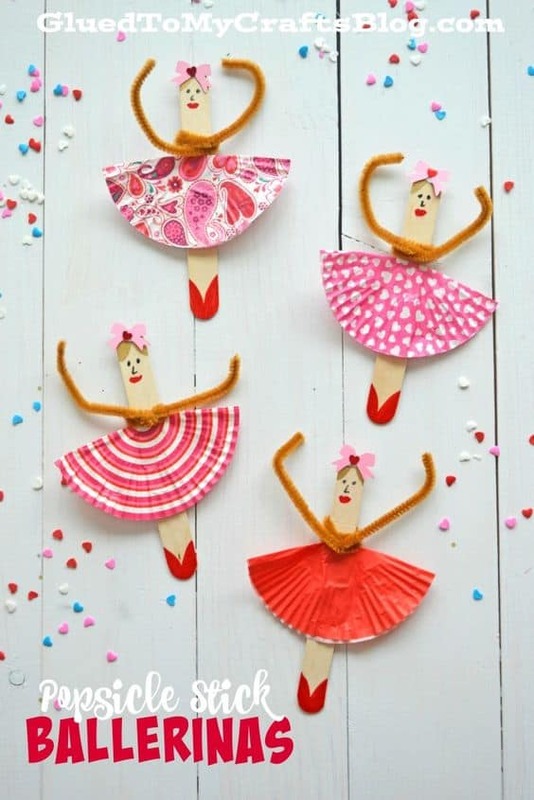 This cute craft that you can do with your kids would actually be enough. Just let them do the coloring and designing and soon, you’ll have a special garden design. 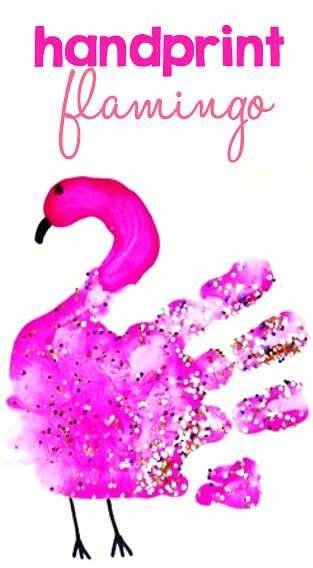 Hand print art works are rather common so give it a try with your kids. This one is for creating a flamingo, but of course, you can create other animals and pictures. This is one test that is fun and will tell you how creative your kids can be. This may only involve cutting but the end results are rather stunning. You can now do this as well with your kids and see how yours compares to them. It’s just a nice way to break boring nights and weekends and teach them a time without their phones and games could still be great. This funny craft will definitely be the source of laughter in your home. Have your kids create various eyes, noses and mouths. Collect all they have done and then bind them into a cardboard. Then start creating funny and unique faces for the family by flipping through the options. 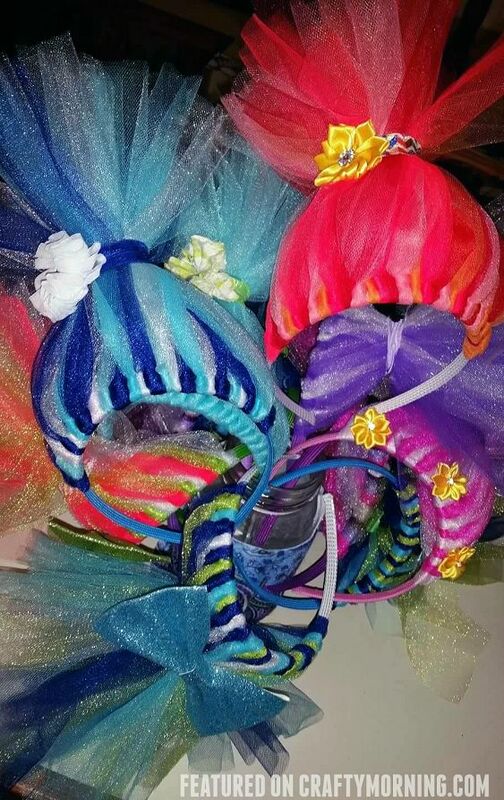 Let your little princess enjoy her day with this colorful paper plate crown that you can let her do. Why not ask her to design a paper plate and then surprise her by making it a crown? You can add some other designs like sequins and more. To enhance imagination, let your kids take over bedtime stories. 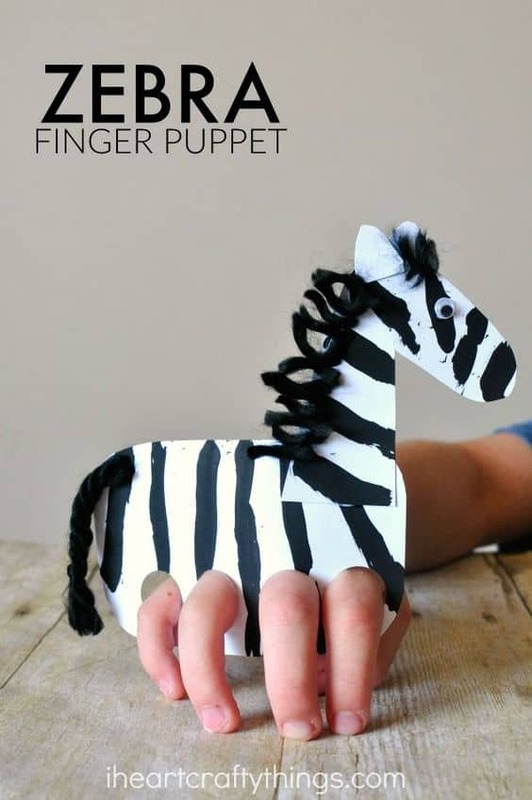 You can make these finger puppets that they can use as props. Then, just let them tell the stories and listen to how amazing your kids’ imagination could be. Fun days without phones, tablets and portable game consoles should be taught to children. 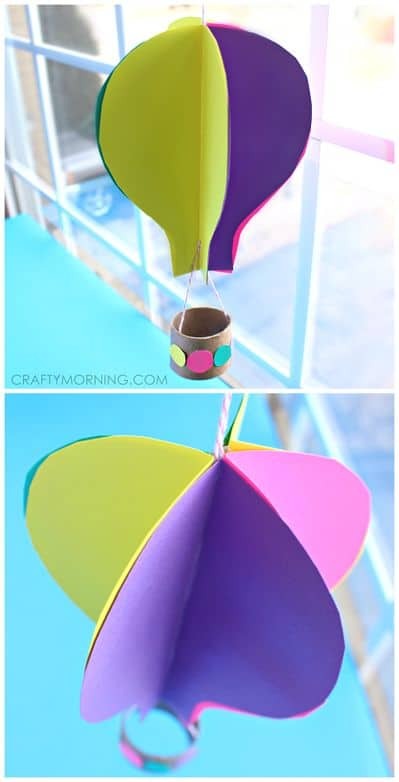 Creating fun crafts like this spinning hot air balloon would give them the chance to experience childhood without technology and that is an important thing as their childhood should be as fun and as carefree as possible. You might have a little one that often asks where do birds live and where do they eat. 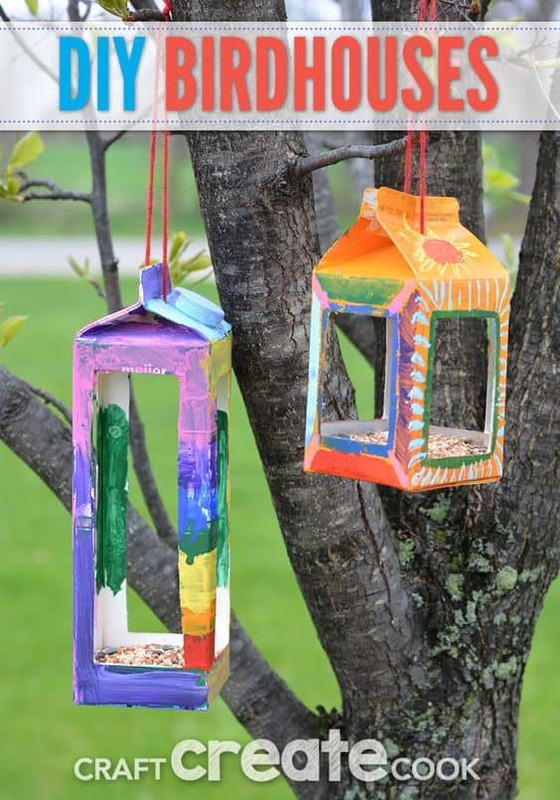 Well, you can teach them about birds while also teaching them how to be good even to these little creatures by creating this simple bird feeder. You can let them design the carton and put the feeds inside. It’s amazing if your child sees interest in art at a young age. The only problem is it could be extremely messy and you’d end up frustrated and tired with cleaning after them. But do not ever discourage them and instead, find ways of making their passion mess-free with the help of egg cartons. This also helps in making sure they know how to clean up their toys and things on their own. Everything now can be turned into a work of art. All you need is a wild imagination and some creativity and surely, most kids would have an abundance of that. So, let that imagination help them outgrow monsters under the beds. Instead of being afraid, help them be more brave. Lava lamps are not just pretty, they can actually help kids get into science. So, while helping them create a homemade lava lamp, you can also explain to them how it works. Again, learning is best when they are having fun. Teach them how to create one and then you can let them create their own characters. After that, it would be amazing if you can create a story with them as well. This enhances not just your relationship with them but also their imagination and how quick they are to put things together in their mind. Tic Tac Toe is one of the games that saved us from boredom when we were kids. This little pocket of rocks with X’s and O’s makes it easier to bring the game with them anywhere they go. They can create new friends and most importantly, the game enhances their thinking skills. Now this is a craft that will surely be loved by your techy kids. You don’t need to spend anymore by getting those phone stands. 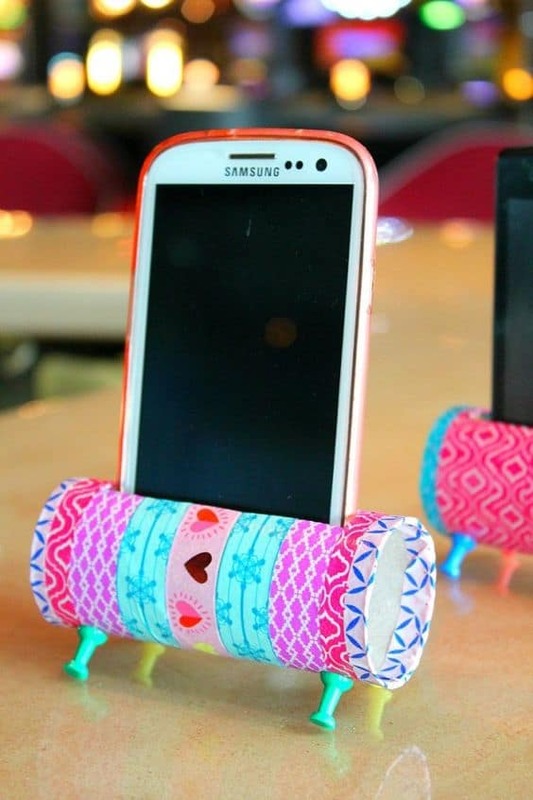 Instead, create one of your own with just a tissue roll covered with washi tapes. You can help them with the cutting so they won’t get hurt accidentally. This may look simple, but it helps them think more practically and avoid spending money on things they can actually create or find a way to solve. Kaleidoscopes are amazing. It only takes one tool but you can stay fascinated for a long time, diving into a realm of imagination. You can let your kids experience that by creating one with them. You can use colorful sequins and beads, buttons and more. Or you can even collect rocks, leaves and flowers. This is a simple and yet amazing art project that your kids can most likely use in school in the future. It involves painting a tree with just a plastic bottle. The bottom of these bottles have various designs, but you can use one with that looks like a flower. Dip the bottom in paint and press onto the paper. Another thing that adults did when they were younger was to create colorful bracelets from yarns and strings. It’s another tradition that you should really pass down to your children so they can experience how fun life was before computers were mainstream. Plus, they can also create wonderful friendship bracelets they can offer to friends. It turns out that paper plates aren’t the only ones that can turn into cute animals. Even cups can! 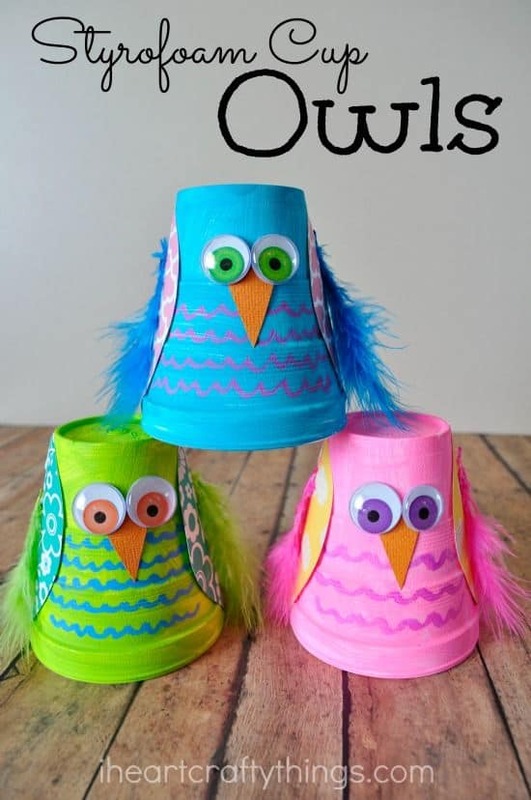 With unused styro cups, you can create different owls with your kids. Each one can create their own with all of your following the steps carefully. Painting with salt is extremely possible. Instead of just painting with traditional mediums, you can teach your kids how to explore the world of art. With glue, create the picture you want. 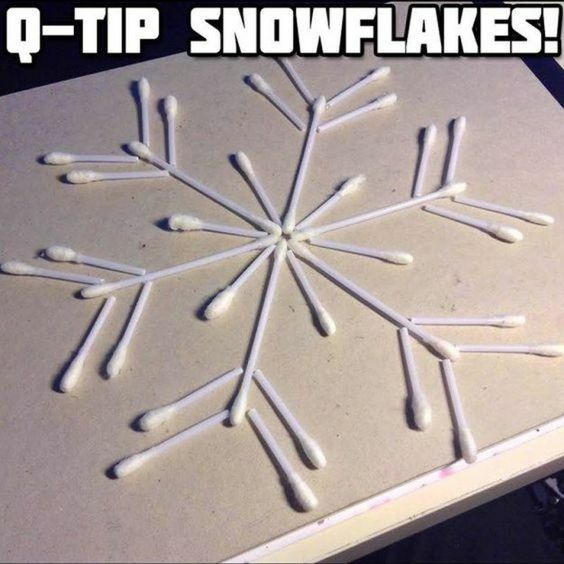 After doing that, sprinkle salt on the glue and make sure there is enough to work with. Once the glue dries, the salt will also stay in place and that’s the time you can start painting. Teaching your kids to be independent will start with letting them help with chores. 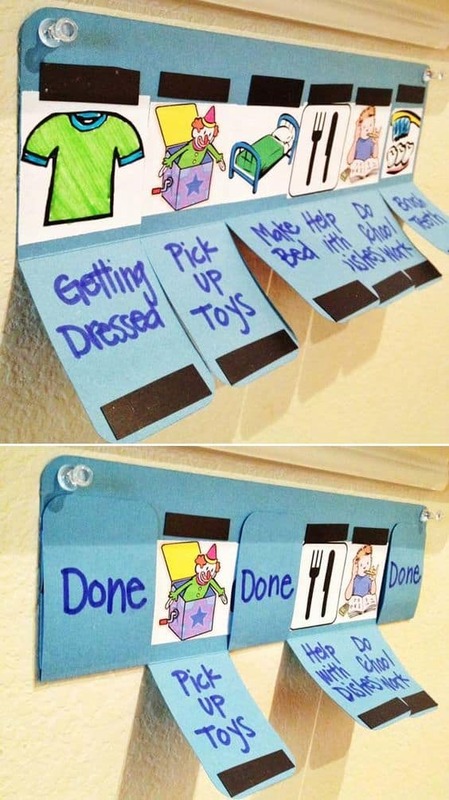 This chore chart can definitely help them know what they should do and help you track how they do these as well. Help them create this chore chart so they can also pitch in what they could do. This one’s a great gift for your kid who loves to dance or dreams of being a ballerina. Helping your kid reach their dream would mean a lot to them, especially as they grow up. And of course, you can teach them how to create this little art craft to let them remember their passion. Galaxy jars are great stress relievers once they are done. They are also rather beautiful decorations and you can do these with your kids at home. 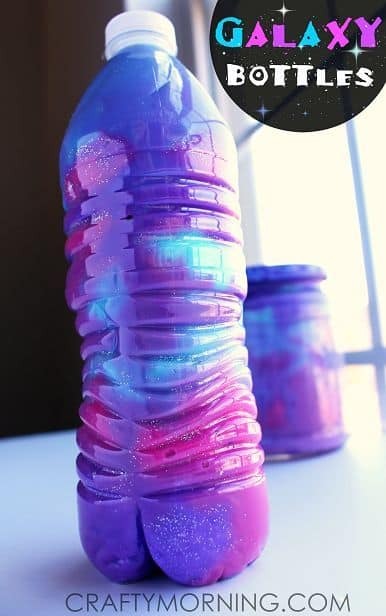 All you would need are glitter, cotton, food coloring and a jar or even a plastic bottle to hold the galaxy in your arms. Science projects should be easier for kids. But it should still help them learn. If you’re a teacher, you can have this little science and art project that will make kids understand how certain animals live; like a jellyfish for example. Painted trees are among the easiest to do. 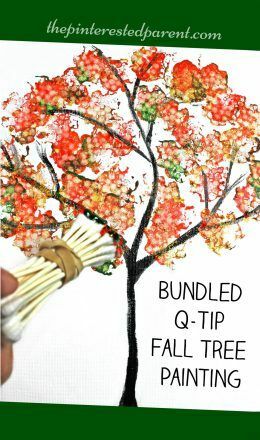 You can teach your kids how to make a tree painting faster and this is with the use of bundled Q-tips. Just dip them into paint and then dab on the paper. Here’s another animal weekend paper plate craft that you can enjoy. 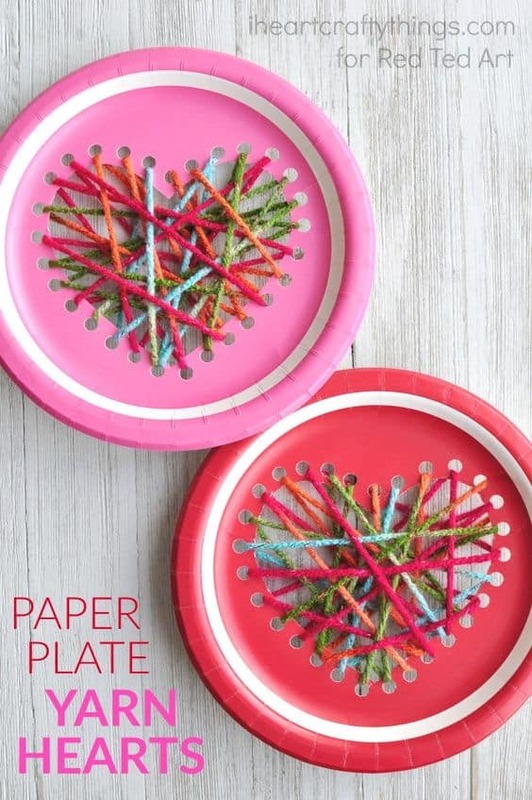 This is so much easier as you don’t need to paint or cut pieces of the paper plate, a good project to share with your younger children so they could have fun and be entertained. 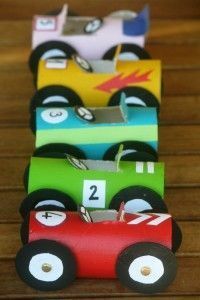 You have created racing cars out of tissue rolls. Who said you can’t turn them into airplanes? Sure enough, your kids will be delighted as they have new toys they could play with and you didn’t even have to spend money. Sure enough, you’ll just have to spend a while to create this or you can even let your kids join you. Need more garden decor? 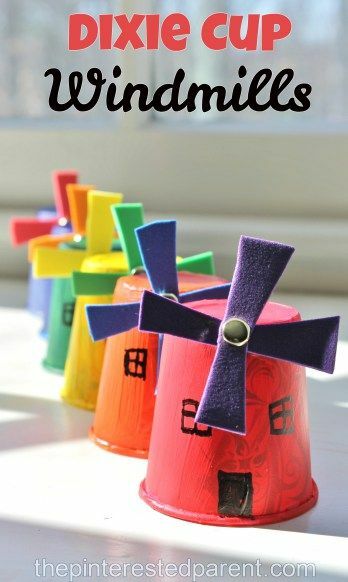 These little windmills made from dixie cups could be the next big attraction in your lawn. You can create these and even get the help of your kids to make more. You don’t need to spend much on your landscaping but you can definitely create great garden masterpieces. Add another character to your bed time stories. 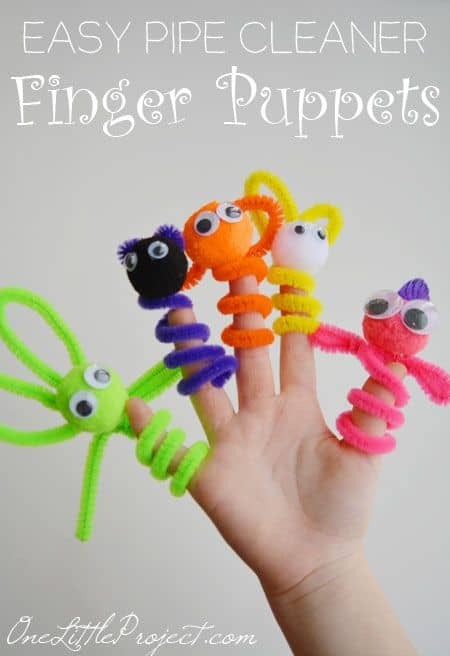 Again, you can use these finger puppets as props and to create new stories. But you can also ask your children to create their own stories from time to time. In a way, this would help them enhance their imagination as mentioned earlier, and they could even take away their fear of speaking in public. Nothing is better or more essential than helping your kid learn something. 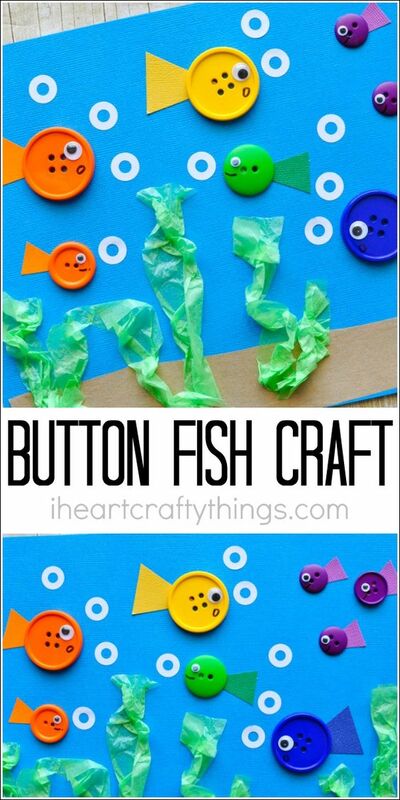 This fun craft also doubles as an art experiment. The rocket balloon is a fun activity but you can also explain easily how this happens. Mother’s Day is another special event that should be celebrated in the house. 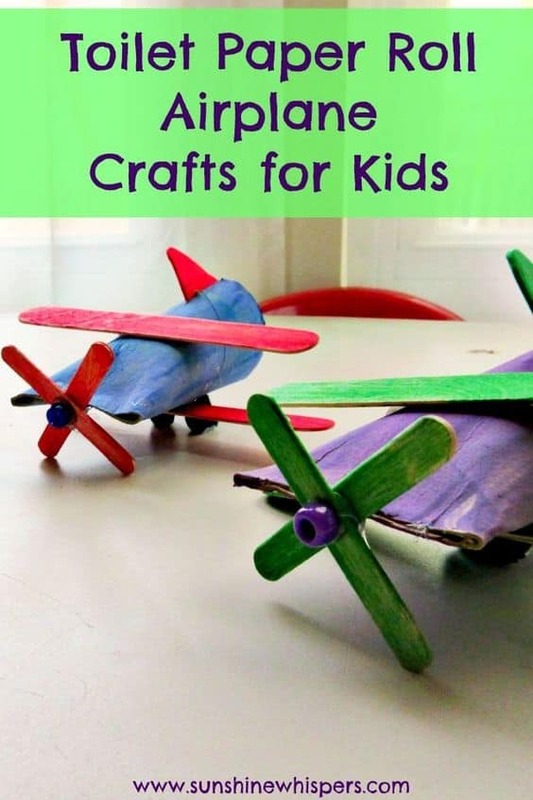 You can create a lot of different crafts with your kids that their mothers will truly enjoy. But here’s one of the most unique ones and where your child will really require your help. Want a new picture to frame and you think your stock of buttons are growing? Well, it’s time to give solution to both these problems and even have some time to bond with the kids. Call them out and create a masterpiece you can hang on the wall with the help of buttons, paper and everyone’s imagination. Photos aren’t just a means to get hundreds of likes on Facebook or Instagram. They are actually memories of different people and places. Sure enough, your family’s photos mean the world to you. With the help of your kids, gather the best photos of the family and create this wonderful and unique frame to place your memories in. Crafts can be done no matter what the weather is. But when it’s raining outside and your kids can’t play, here’s one of the art crafts that you can enjoy with them: creating characters from rocks. Let your kids choose who to create or perhaps make their favorite characters from cartoons. What do you do with socks that have lost their pairs? Some of you might have thrown them away. But this octopus plushie is one of the ways that can help you make use of them again. What’s more is that you can create them with the help of your kids. 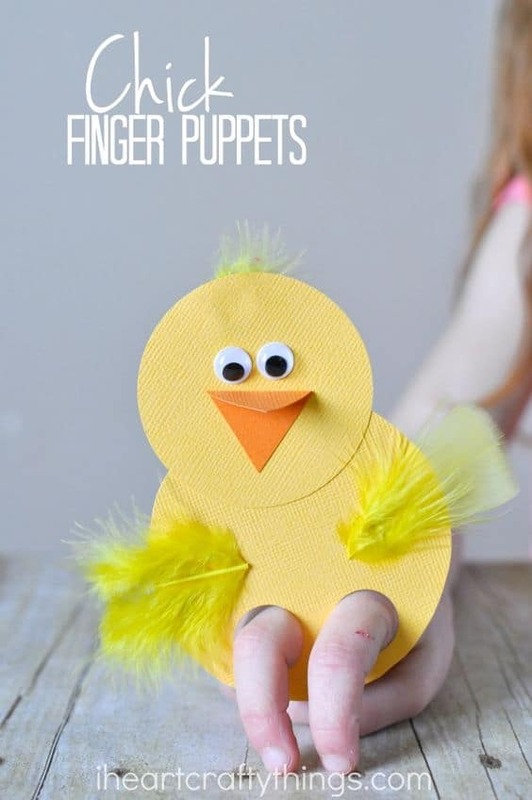 Another finger puppet that you can easily do for story times ,you can add little feathers to make them more adorable. Also, you want to make sure that the holes can fit your child’s fingers. 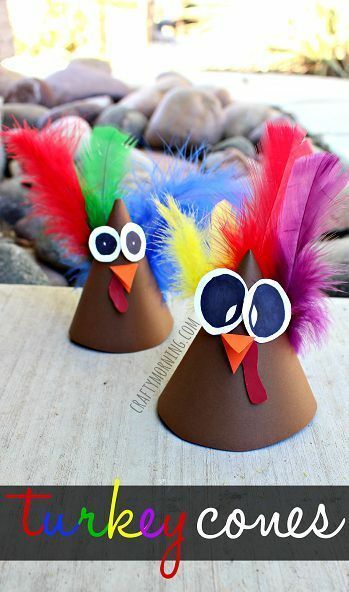 These cone crafts can be great for the next Thanksgiving. It would be a cool new party hat that everyone can enjoy. But of course, the fun is actually in creating them with your kids. You will only need some art paper and some crazy colored feathers. Who thought folding your face towel could help you create a cute bunny? This coming Easter, you can do this and place these as decorations around the house, perfect for the upcoming Easter egg hunt. Since it’s easy to do, you can also teach this craft to your kids. Another craft that takes creativity to another level. Each one in the family could do this which makes it an easy way to bond with everyone. First off, each one would outline their hands on a colorful piece of paper, cut it out and add googly eyes and other designs, then the mouth. 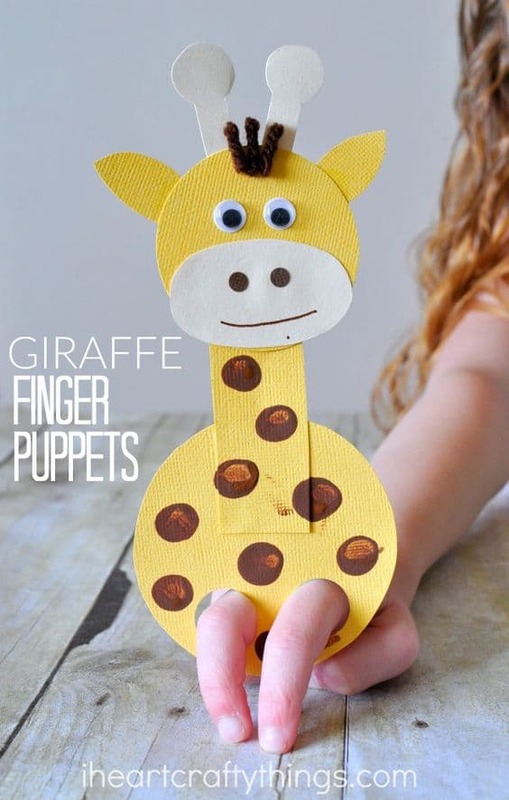 Lastly, you can glue a craft or popsicle stick at the back so it’s easier to use it for puppet shows. Apart from craft sticks, you will also be needing a clothespin. Assemble the pieces and then use a glue or a glue gun to attach them all together. Once the parts are dry, you can ask your kids to paint them in any way they want. 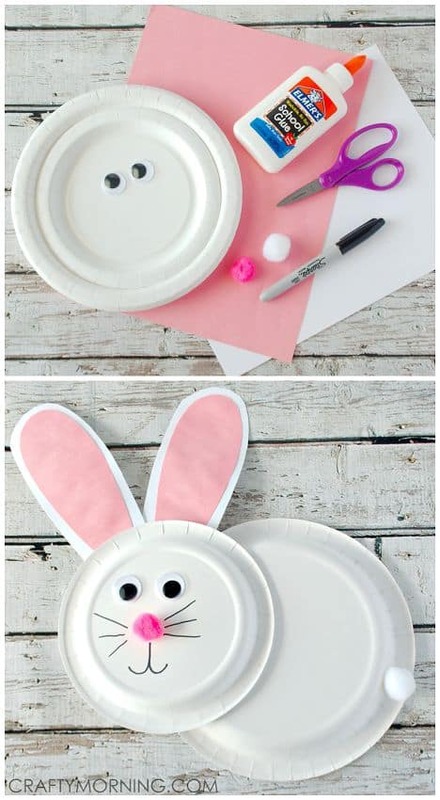 Lastly, this would require another paper plate and would be another great weekend animal project with your kids. The cow is a farm animal that gives a lot of products to people. 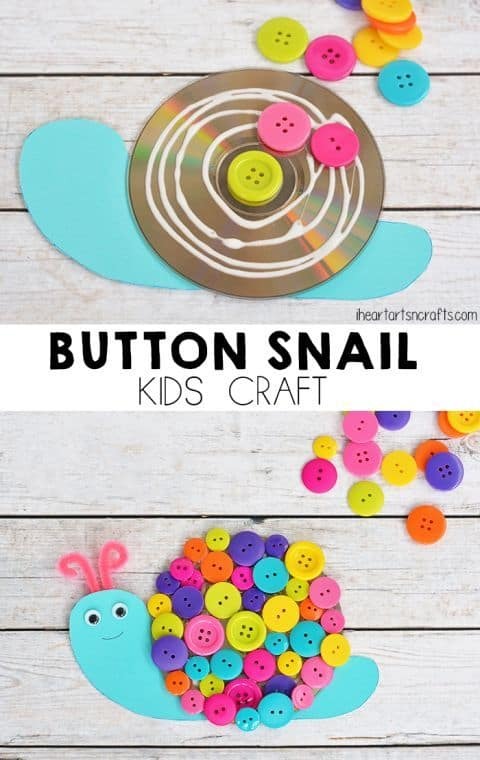 How do you find the above cute and easy crafts for kids? Feel free to share your projects in the comment section below.